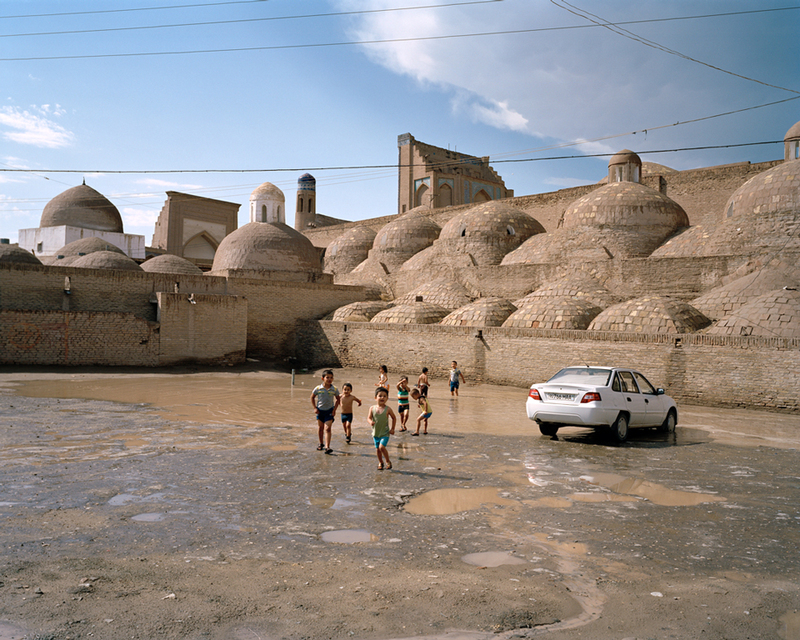 When photographer Marco Barbieri travelled to Uzbekistan, he was confronted with images of a water crisis that, if left unchecked, could spell disaster for the region. And yet, daily life carries on. 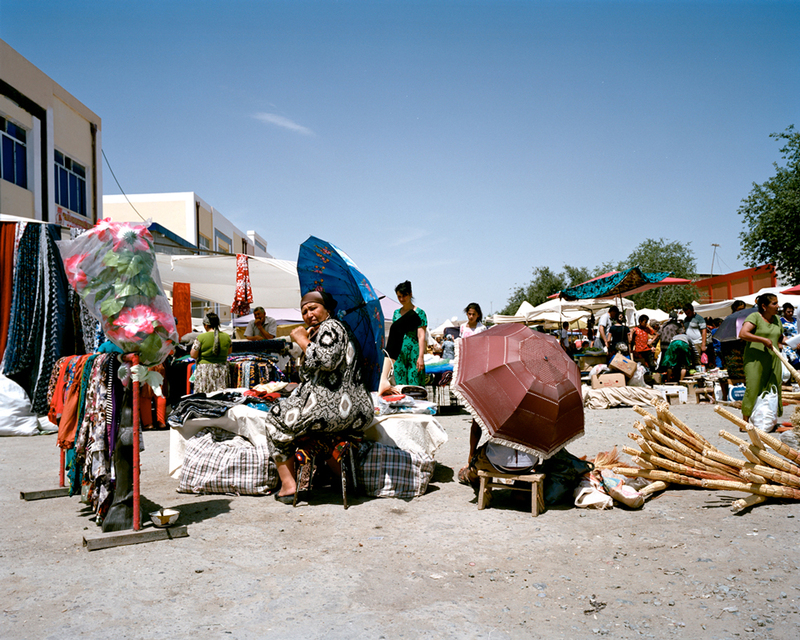 Uzbekistan is Central Asia’s most populous country, a one-party “democracy” for the last 26 years and one of only two double landlocked countries in the world. 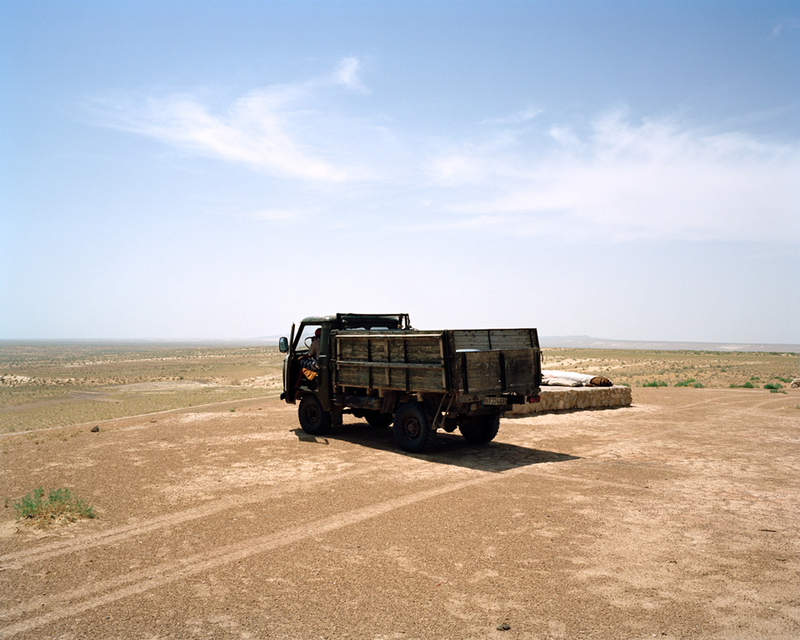 I initially travelled to Uzbekistan on a journey to reach the Aral Sea, a mass of water that is rapidly receding as the result of one of the biggest (and more overlooked) man-made environmental disasters on earth. 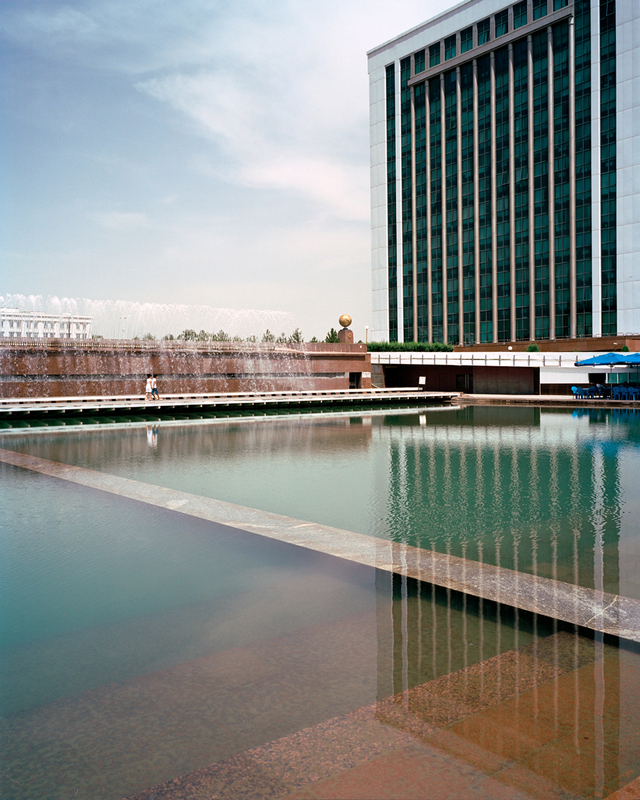 But when I got to Central Asia the project quickly evolved into an essay about water, power and how appearances can deceive. I was confronted with a landscape that was far from the desert environment I was expecting. 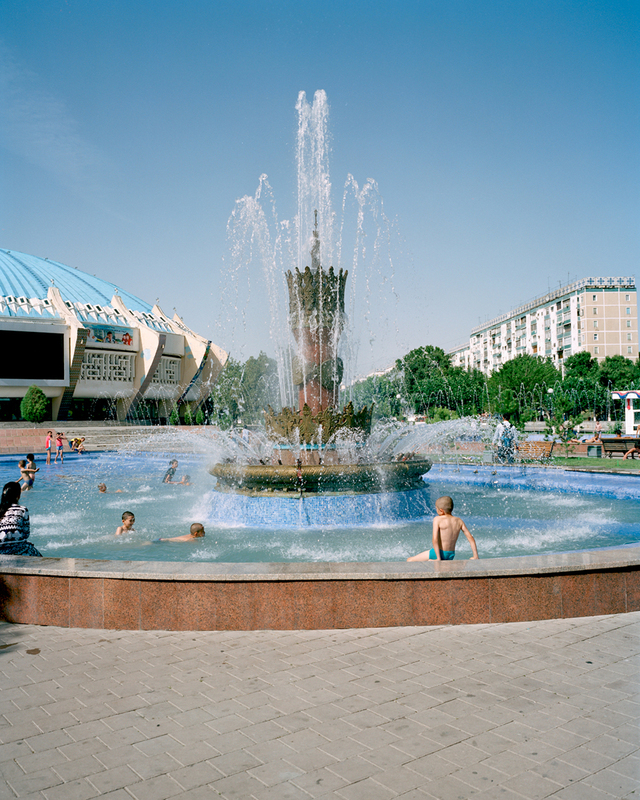 In the cities, lush gardens and pompous fountains were surrounded by architectural remnants of the Soviet past while clean avenues were dotted by police and military personnel. The land was literally manicured in front of me by men and women cutting it leaf by leaf under the sun. 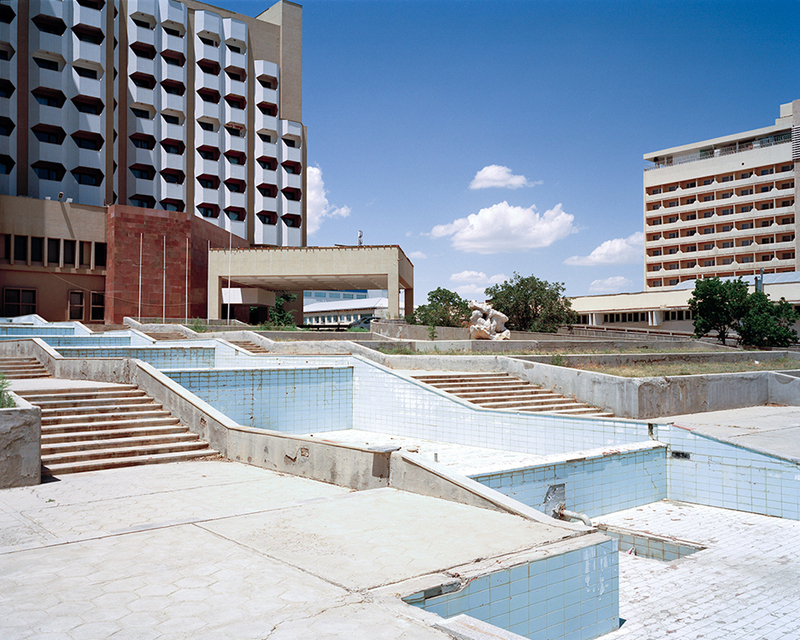 But as soon as I moved away from the unreachable government buildings or touristic areas, the cityscape became as dry as the fountains populating it. Water is a precious thing in a desert landscape; here it felt like it was always lacking where it was supposed to be. 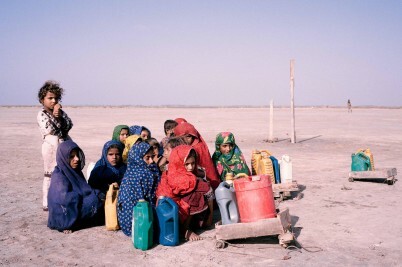 Nowhere was water scarcity more obvious than in the North-Western part of the country. 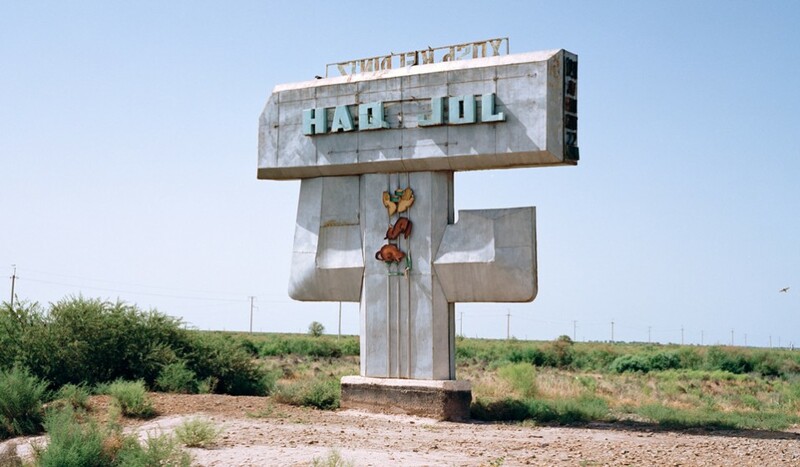 The area was highly affected by the Soviet government decision to transform Uzbekistan into a cotton heaven in the 1960s: canals were built using the water from the Syr Darya and Amu Darya, the two main rivers of the country, and the land became green in other regions. Cotton exports became so important that the plant made it onto the state emblem. 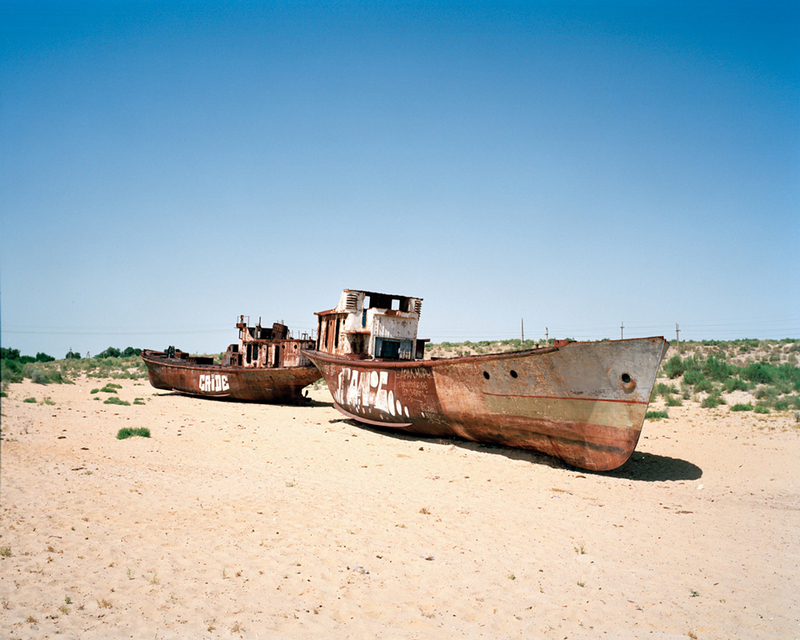 But the upshot of this manmade development is unfolding today as an environmental disaster: the Aral Sea deprived of its water intake is rapidly disappearing off the map. 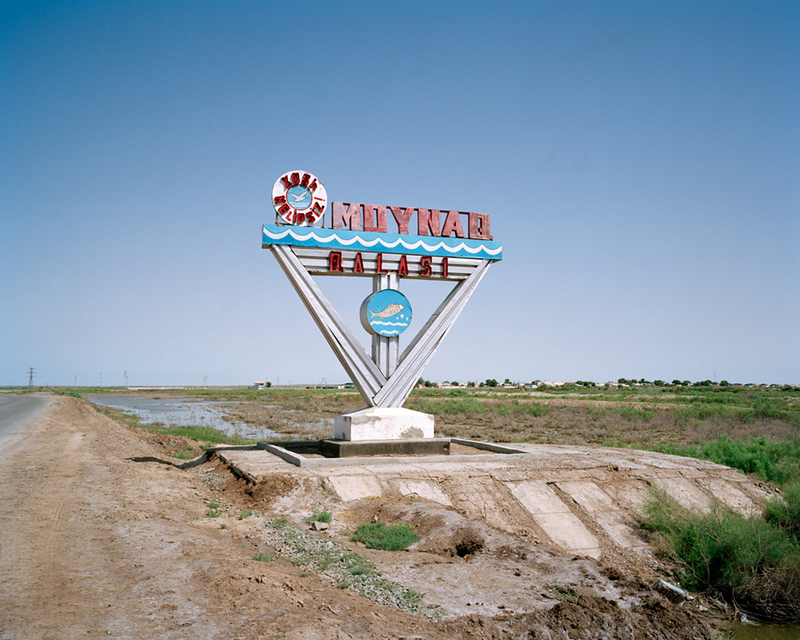 I reached the city of Moynaq in the Karakalpakstan autonomous region which now symbolises the disappearance of the Aral Sea: once a harbour town it now lies more than 200 km from the receding water. 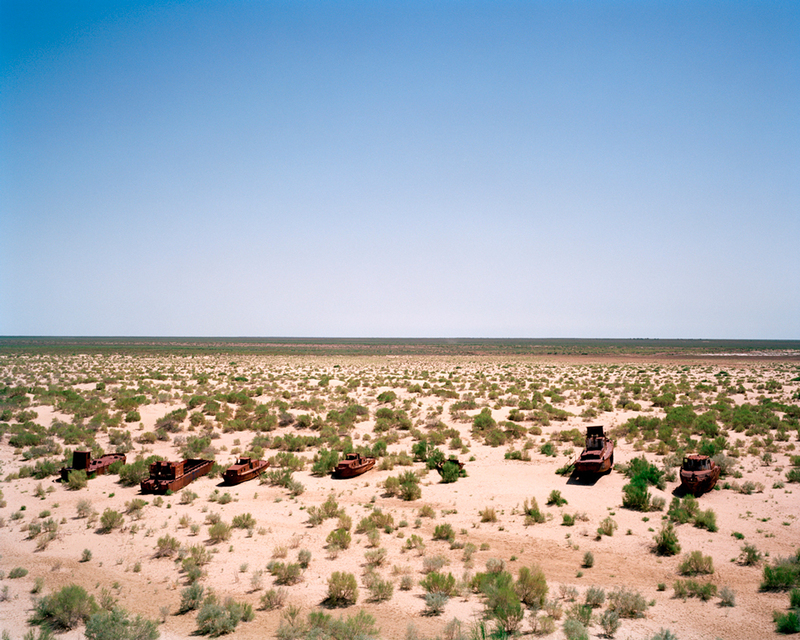 Once the world’s fourth largest lake, the Aral Sea – not a real sea, obviously, but in fact a lake – has been receding for half a century. 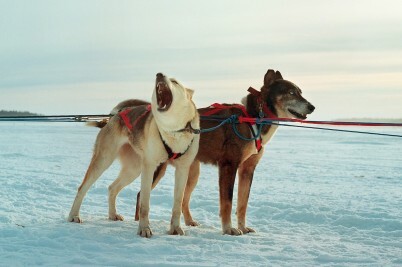 What is left is toxic to animal life, and the decrease in the amount of water affected the region’s climate giving way to temperatures similar to Siberia in the winter and scorching heat in the summers. I am usually interested in places where politics play a fundamental role in everyday life. 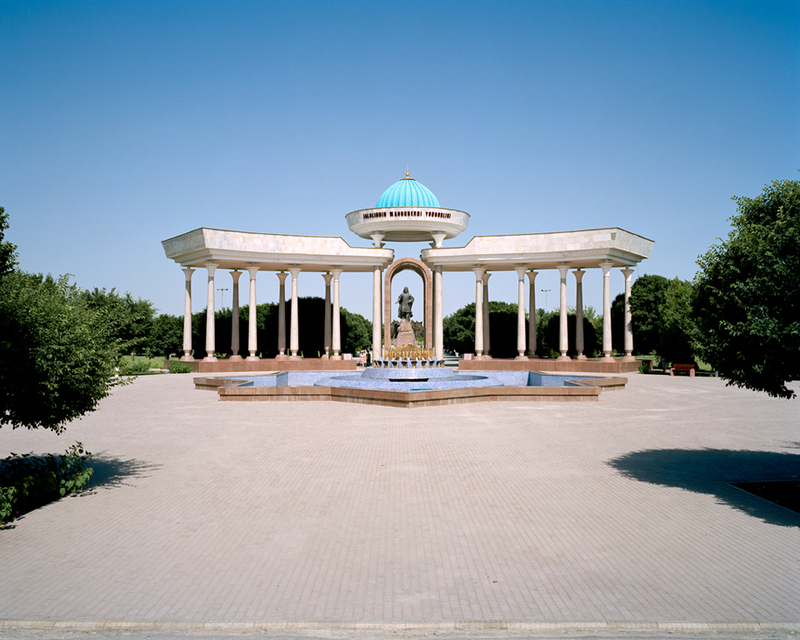 In Uzbekistan, politics are an unlikely topic of conversation due to its repressive regime. 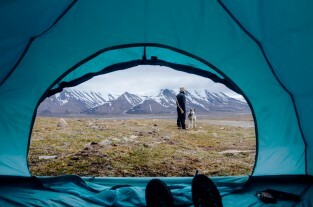 You’re more likely to hear someone praising the government and the relative security of the country than complaining about the $180 a month average salary that makes living or leaving difficult. True, criminality doesn’t seem to exist, streets are clean and theme parks are packed with families. 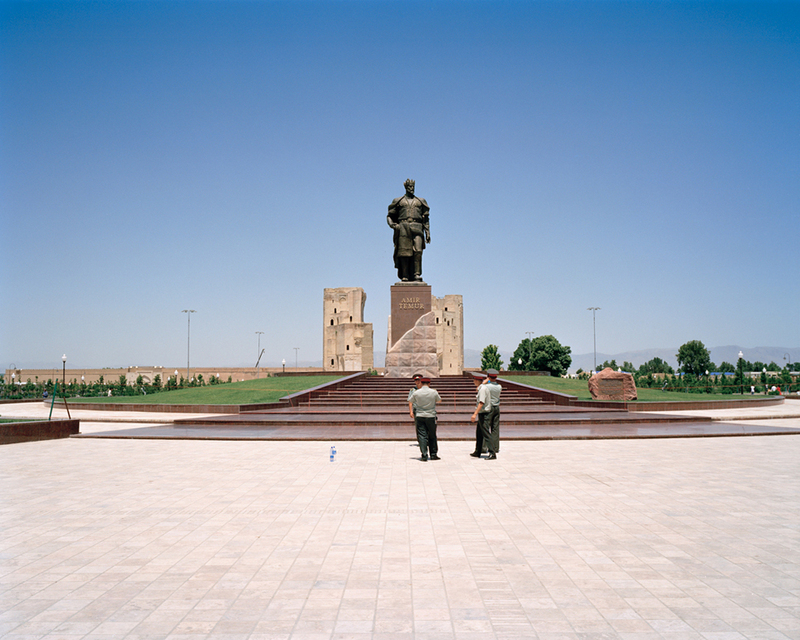 Statues of Amir Timur, Uzbekistan’s national hero, are everywhere in a nationalistic effort to find a unifying figure for a young country that for more than 200 years was under Russian power. But things may be changing now: on September 1, it was announced that the long serving president died. Islam Karimov was in control from 1990 to 2016 and made sure to keep it this way by making opposition impossible, often using radical Islam as an excuse to block down freedom of speech. 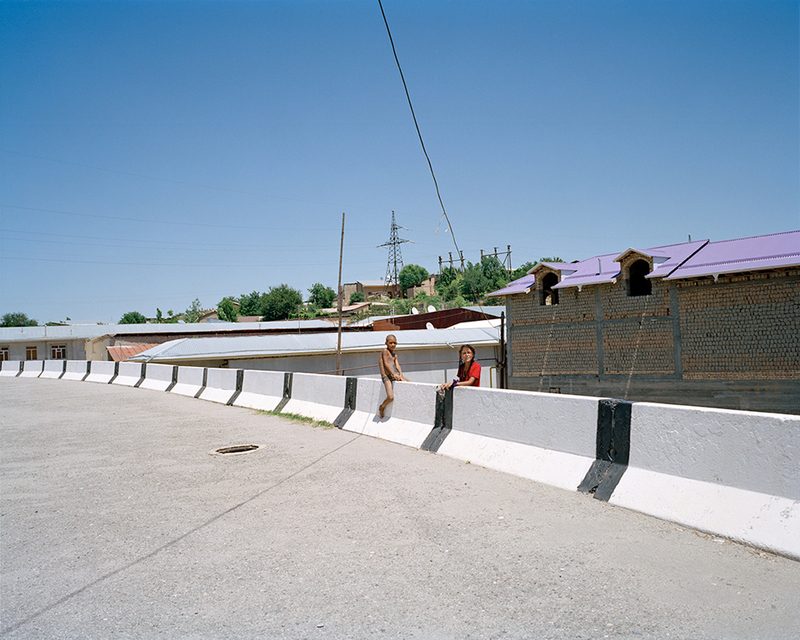 In 2005, hundreds of people were killed by government troops during a demonstration that became known as the Andijan massacre: protests were a thing of the past. Now the country is facing further instability. And meanwhile, the water is still receding. 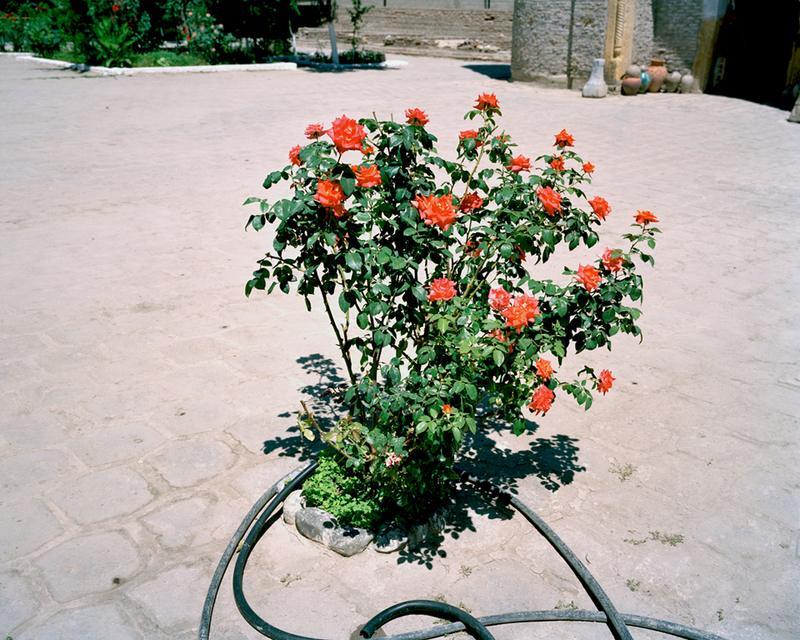 Marco Barbieri is a photographer based in London. 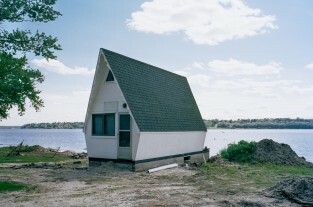 The Travel Diary: What remains of America’s fading utopias? Are we heading towards a water crisis – or are we already in it? 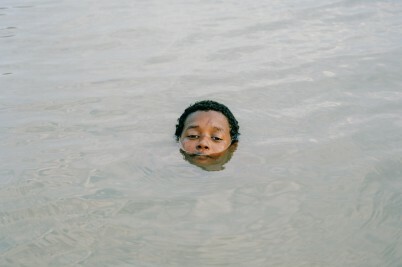 Photographer Mustafah Abdulaziz is journeying across the world, closing the gap between the choices we make and the impact we have on the planet. To coincide with Huck 55 – The Freaked Out Issue, the acclaimed photographer behind our cover story selects the work that means the most to him. 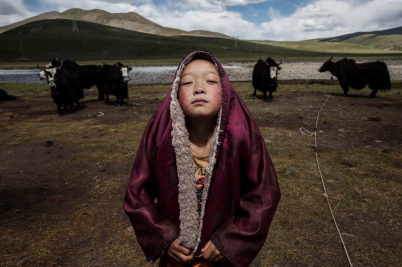 Advice for young photographers chasing authentic stories beyond the beaten track. 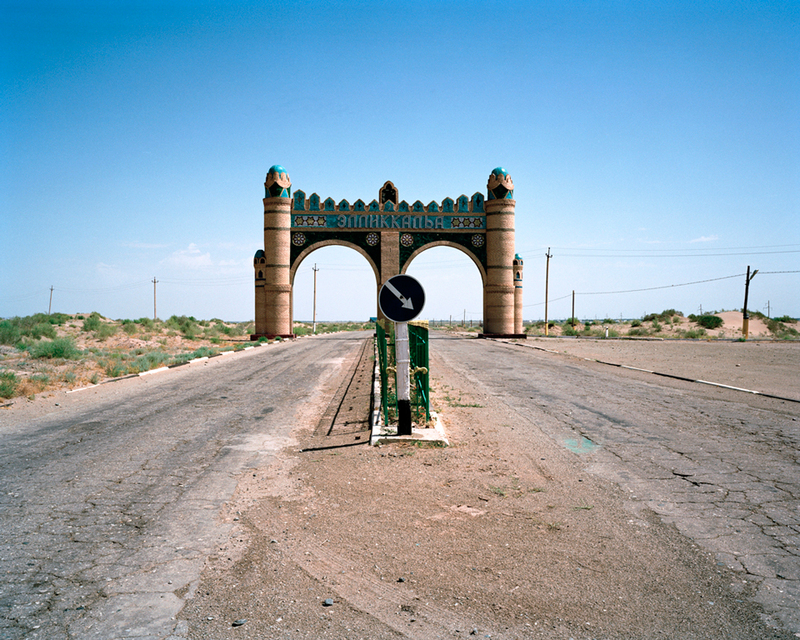 Canadian photographer Aaron Vincent Elkaim captures the human fallout of industrial development, where communities are being cut off from their heritage and land.